Moist new snow layer on top of heavier, stronger layer that was mostly hard and icy, but starting to melt a little bit. It began with a width of only 4-5 feet. 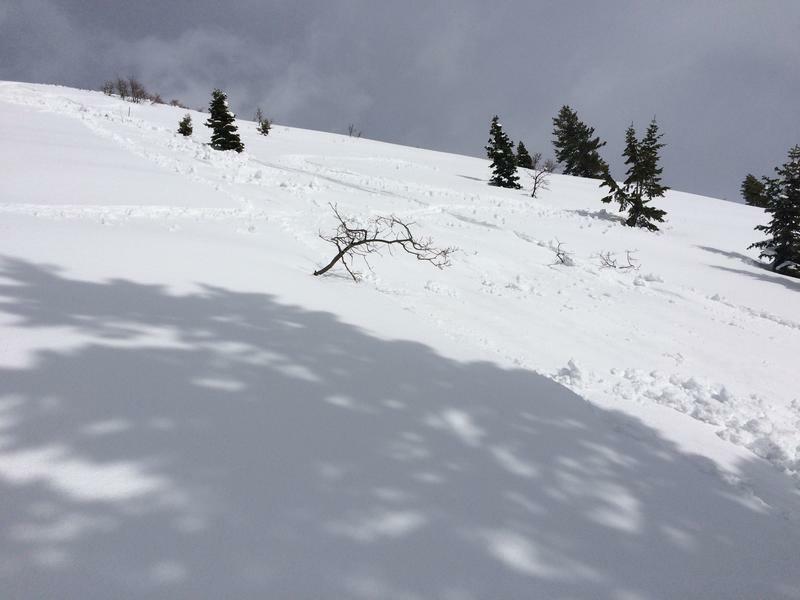 The Avalanche was loose and slow moving and ran for about 60 feet, entraining a gradually wider path as it descended. It ended near a big tree, with a final width of about 20 feet. 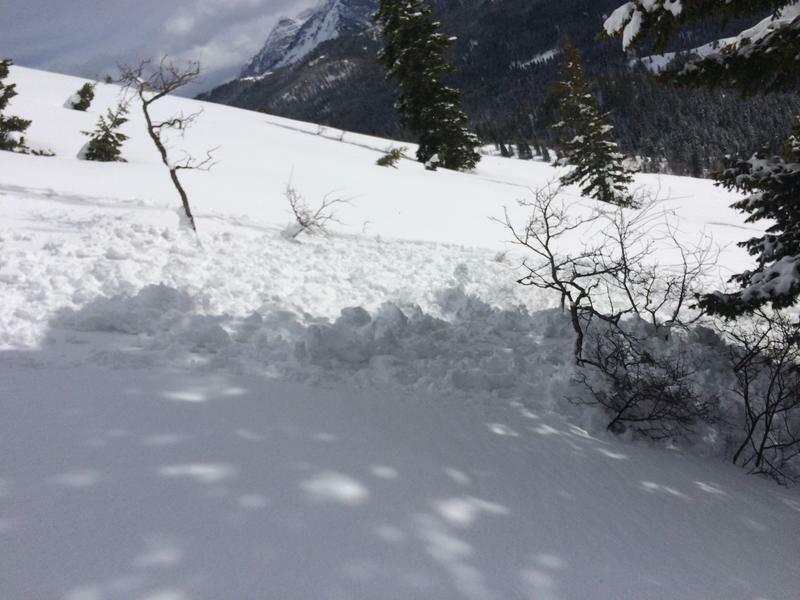 At its deepest, the debris pile was not more than 8-10”. I triggered it while skiing down, but I was not caught in it. It seemed to start slowly, after I passed that spot. 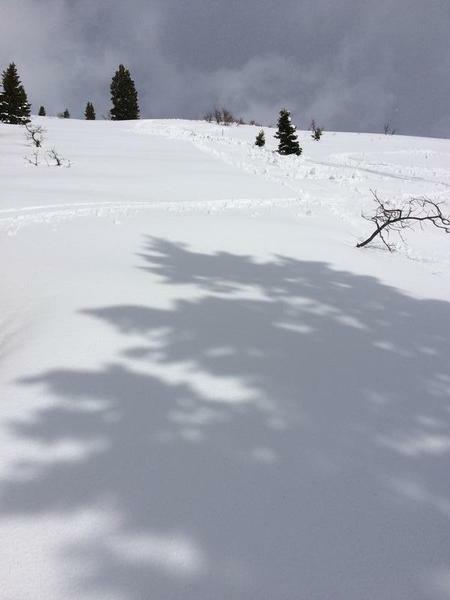 I was several turns further down, when I heard a sliding sound and looked back to see it. There was no whompfff sound, just a sliding sound, and it seemed to slide pretty slowly.